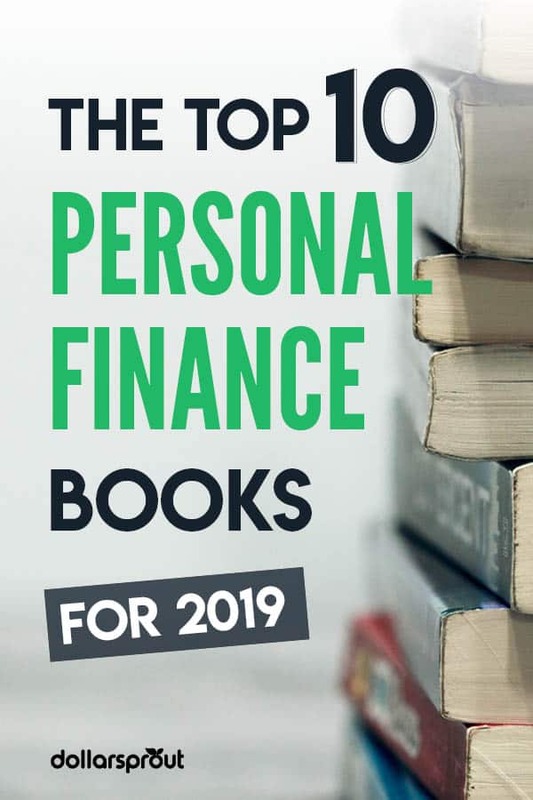 Whether you’re a student planning for life after college or a happy retiree, this list of the best personal finance books can help you manage your money (and your mindset) for a happier, more peaceful financial life. Let’s face it — personal finance is no one’s favorite topic. 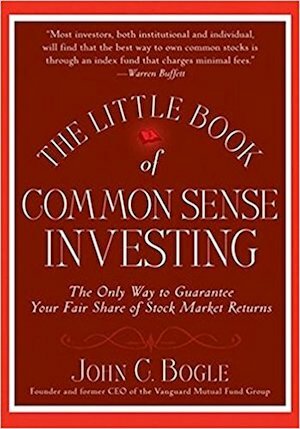 However, it’s hard to deny that most of us could benefit from the knowledge the best finance books of all time contain. According to a recent study by the Center for Financial Services Innovation, only 28% of Americans are considered financially healthy. That in and of itself is reason enough to grab a book below and start taking a more active role in your finances. It’s easy to get stuck in the mindset of “I’m bad at money” or “I’m broke and there’s nothing I can do about it.” But there is always one way to change your situation: educate yourself. It doesn’t take a lot of money, or even much time, to read a few books. Set aside 15 or 20 minutes every morning and evening to dedicate to your self-education. Before you know it, you’ll be well on your way to succeeding with money. For convenience, we’ve chosen the best books in several categories so you can pick and choose depending on your personal situation. From money mindset to winning in the stock market, here are the best personal finance books to add to your reading list. This book may have been published over two decades ago, but it still holds a lot of resonance among readers today. Rich Dad, Poor Dad is told through childhood memories of the author, Robert Kiyosaki. This book is all about the differences between how rich and poor people think, feel about, and handle their money. 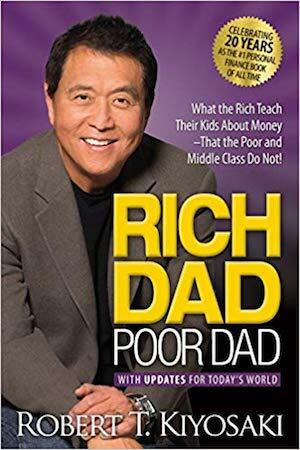 It outlines Kiyosaki’s personal experience and the lessons he learned about money from his own father (the poor dad) and his friend’s father (the rich dad) growing up. Kiyosaki shares his belief that not all debt is negative and that smart money moves can make a real difference at any income level. Given that it’s the best selling personal finance book of all time, it’s safe to say that just about anyone can benefit from this gem. 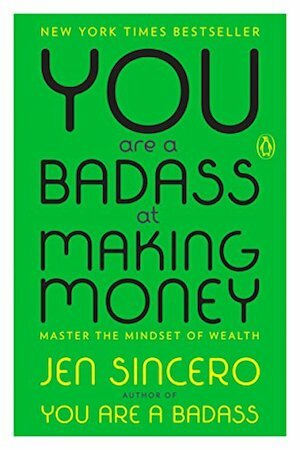 Following up on her #1 New York Times bestseller You Are a Badass, author Jen Sincero took the personal finance industry by storm with an edgy and humorous approach to money mindset. Like some of the best personal finance books, it weaves together personal anecdotes from the author’s life with powerful tips and insights. Expect to laugh, scoff, and dive deep into your money mindset. 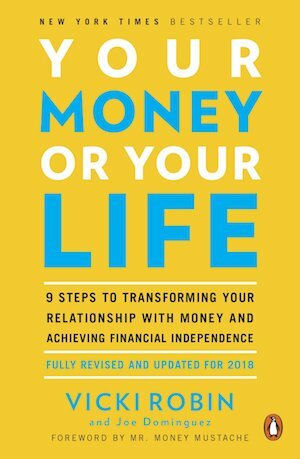 This book is particularly good at helping readers uncover the self-imposed obstacles that limit us in our personal finances and beyond. If you’re looking for a witty, lighthearted read that’s both inspiring and insightful, this book won’t let you down. Sometimes the best personal finance books read more like fiction than finance. 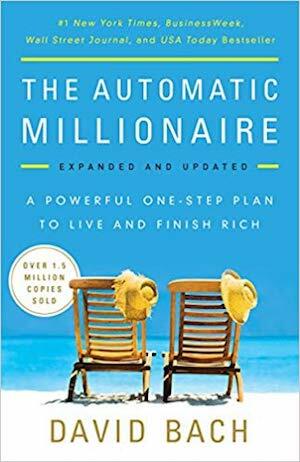 Bach’s The Automatic Millionaire does just that as both a highly actionable and enjoyable book. What makes it so actionable is the supremely practical advice: save that latte money, invest in your dreams, and use the power of automatic payments to stash your cash. The beauty of Bach’s advice is that it’s simple yet highly effective. This book is really about discipline and putting fixed percentages to work for yourself over time. It’s an entertaining read with real-world advice. There’s nothing like a good book that shifts the way you think about a major life event. Zelinski achieves just that with how he talks about retirement. Instead of thinking of one’s last day of work as the destination, Zelinski reframes it as the start of an epic journey. 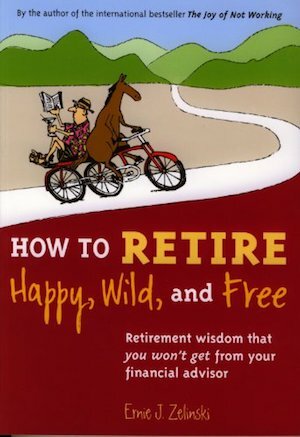 This book isn’t so much about preparing to retire a millionaire as it is a guide on how to retire well on what you have managed to save. Talk about a public service. If you’re looking for a traditional “work longer and harder so you can relax later” retirement mantra, look elsewhere. 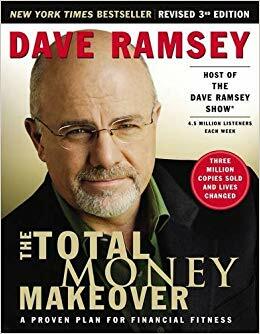 If you’re looking for tips and guidance on how to get rid of your debt and manage your finances better, check out Dave Ramsey. His rants (and multiple bestsellers) encourage you to play the long game when it comes to personal finance by prioritizing getting the debt monkey off of your back. Ramsey also dives into savvy saving and how to ensure that emergencies don’t derail your life. Per usual, Ramsey is wildly blunt to the point that he awakens your inner “What am I doing with my life?” in the best ways possible when it comes to how you save and spend. Pick up a copy if you want to live up to the book’s title and perform a major makeover on the way you manage your money. You’ve got to love books that are true to their titles. Another thing we love about this book is its focus on habits and its shameless promotion of something very unsexy these days—living within your means. It’s an antidote to the seemingly constant push for more, more, more. The authors push back with smarter, smarter, smarter when it comes to aligning your spending with your actual lifestyle. With such a strong focus on making money moves that bring you ultimate happiness, this one is hard not to love. Forget for a moment that the author is the founder of one of the most successful investment firms ever. This book is full of practical advice about focusing on the right metrics when it comes to your personal finance goals. Focus less on picking stocks and more on growing your savings rate, bit by bit over time. Bogle pushes “Main Street investors” to hitch their wagons to index funds (like Vanguard—his own firm) that provide steady returns with the overall growth in the market. Bogle advises readers to play the game of averages intelligently over the long haul. In other words, don’t get caught in what he sees as Wall Street dealers getting over on the little guy. It’s a refreshing take with sound advice for novice investors looking to figure out their way in personal investing. This book will likely shatter everything you believe about wealthy people in America. 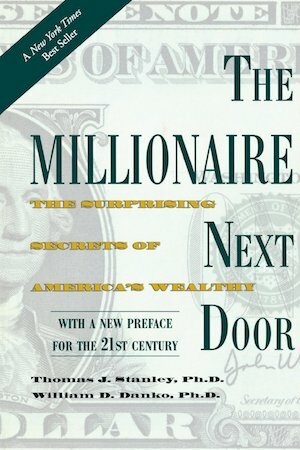 Stanley and Danko took the time to study actual millionaires and discovered some surprising findings. They do not all live in gated communities. Millionaires are not all awash in luxury cars, designer clothes, and huge mansions. This book demonstrates how mundane and simple the lives of millionaires can be. It also suggests that becoming one is often a matter of good planning and executing those plans. For example, the authors discuss saving early and often, understanding one’s economic potential through a simple formula, and avoiding undue financial burdens. These tried and true approaches that, if followed, will help you become the unsuspecting millionaire next door. Author Richard Thaler received the Nobel Prize in Economics. This book packages together some of his groundbreaking research in behavioral economics. It’s an interesting take on how people, governments, societies, etc. 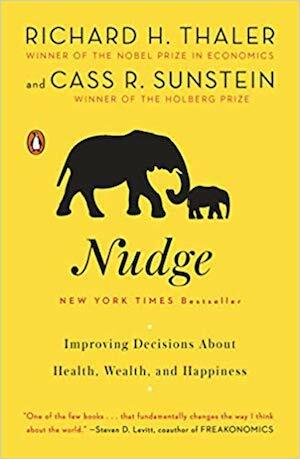 can use inertia (synonymous with “laziness,” in many cases) to “nudge” individuals into better decisions. 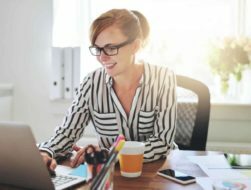 One example is employers offering opt-in retirement savings accounts rather than opt-out savings. Most people, because of inertia, won’t bother to change the option. As a result, they’ll benefit from the savings in the long run. One big takeaway is that our individual choices, seemingly free, are actually part of a larger “choice architecture.” This architecture is co-constructed socially. That’s something to consider when we think about the individual decisions we make. The personal finance tie in here is that people can use inertia to their advantage. Simply automate things like your savings and set up healthy financial habits to run in autopilot as much as possible. When it comes to the world of personal finance, it’s not all rainbows and unicorns. Helaine Olen dives into the underbelly of the personal finance world by taking on how the media offers financial advice and how some finance gurus put self-interest before sound advice. She pushes for more accountability for the industry and more scrutiny among readers and listeners about the advice we’re receiving. 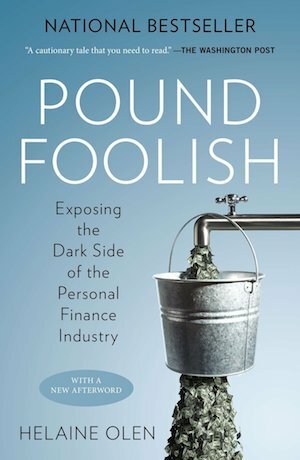 This book is a wake-up call to how we think about the personal finance industry as a whole. Digging into how the industry operates helps readers better discern what advice to take and what to leave. Olen has done a great service for those who want to see a healthy and happy personal finance sector. Reading about personal finance is a great place to start. However, don’t get caught up in the research phase and forget to take action! Take in all the information you need about how to manage your finances, create a budget, build wealth, invest for the future, and improve your money mindset. Then get out there and put all that new knowledge to work. Once you do, you’ll be amazed at how quickly you can see results.